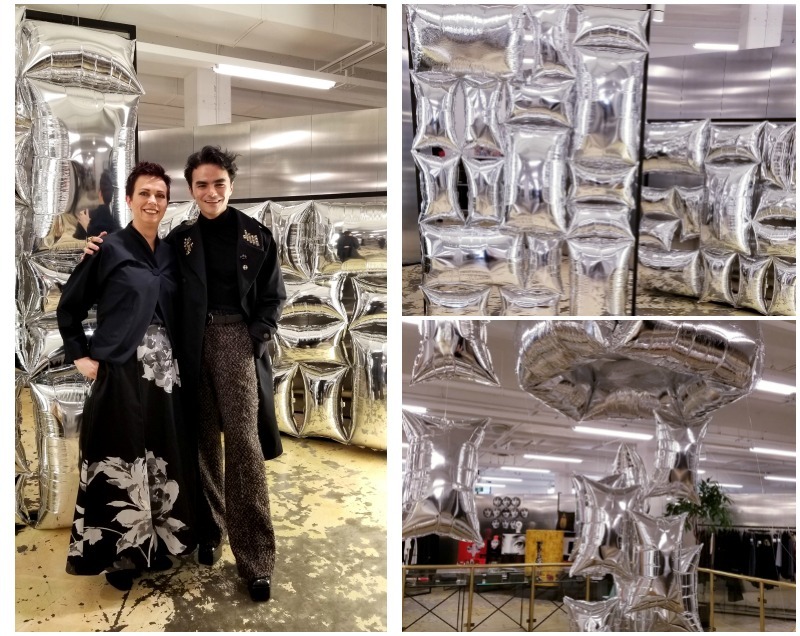 Retail fashion concept store Leisure Center celebrated its one year anniversary with an exclusive party at its 22,000-square-foot space in Yaletown. 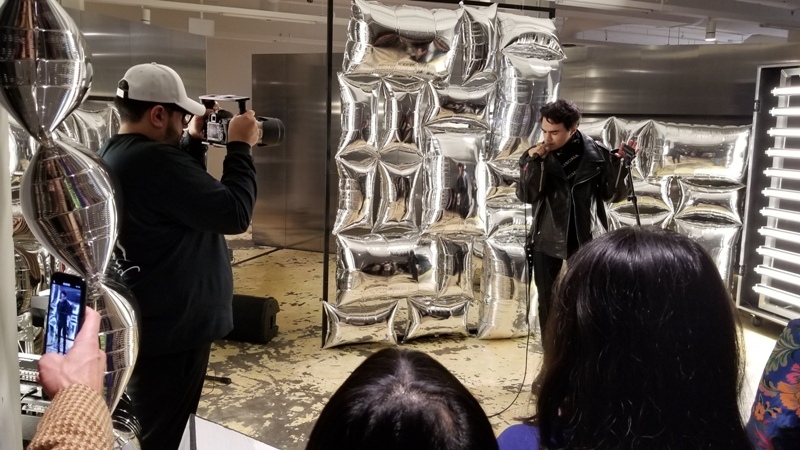 Admittedly, it was the ‘Up to 70% Off Sale’ that had everyone stoked, that was until New York singer-songwriter Baby Yors swooped in with his Canadian debut. PAPER Magazine calls Baby Yors ‘the rising queer Latin pop star, studied in the Bible of Queen’ and the description was apt. The Argentinian-born rock/pop/soul singer Baby Yors has three singles to his credit and has already graced the pages of Billboard, OUT, Forbes, Blow Out, Pansy, and PRIDE. The androgynous performer left his home in Jujuy and relocated to New York City to pursue a career in ballet but soon turned his attention to acting, which progressed to his current passion, creating music. Styled by Leisure Center in Vetements, Yang Li, and the Lurr siblings’ Namacheko, Baby Yors rolled his voice up the musical ladder while crouching lower and lower. It was especially thrilling to hear ‘Bad Influence’ live for the first time. 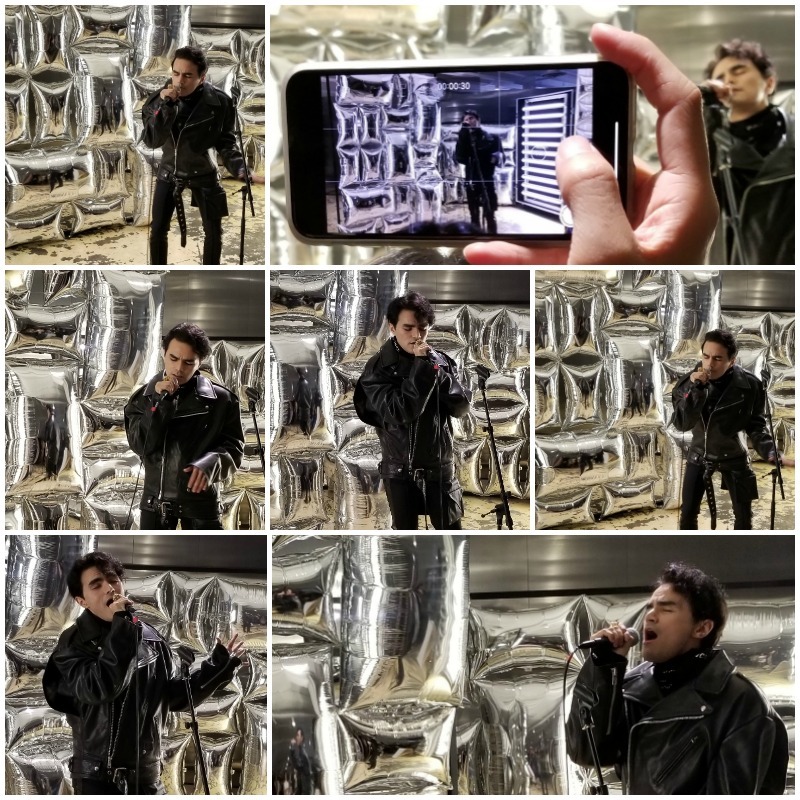 Like the Bad Influence video, Baby Yors performance was dramatic and intense. Which is exactly what we have come to expect from Mason Wu and MuYun Li, creators and co-founders of Leisure Center. 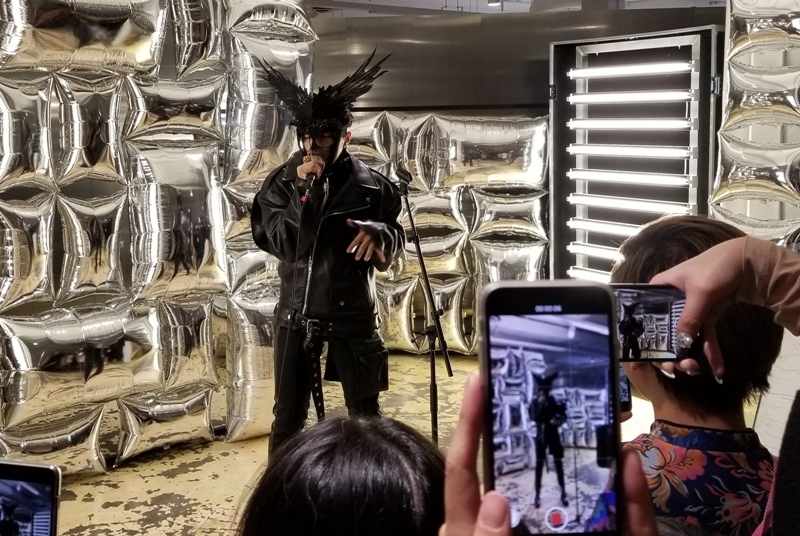 They do not merely throw ‘events,’ they craft emotional experiences for their invited guests that involve underground and obscure performers, local and international artists, stimulating installations, and attention-grabbing models. Earlier in the day, I met with Baby Yors (né Marco Palou) over sparkling water in the Leisure CenterCafé.We shared our thoughts on the dreary Vancouver weather, his true height in platforms (6’1), and how indie NY footwear company Syro is his go-to store for heels get him life. How did it come to be that you are in Vancouver at the Leisure Center performing tonight? It was very serendipitous. I had a performance last night in Los Angeles at OUT100 and it was a year ago at the 2017 event held in New York, that I met a girl who was wearing Laurence and Chico and asked her what is that?! She told me and everything moved forward from there. Since then I have worked with Laurence and Chico and worn their clothes at magazine shoots and events. I feel that all my art is based on my live show – sound and visuals. Gogo Girl came to me with both elements together. Sometimes the music comes first and exists on its own. Then it is paired with the visuals and becomes something new. This song came to me existing on its own with its punk rock vibe which is different from what I have done before. It felt like home. It was created with such a small amount of money and everyone involved trusted the vision and wanted to be a part of it. My fiancee Kurt and I produced the Gogo Girl video together, and it was a very special project involving many friends. I have read many times about your inspiration from Stanley Kubrick – the man and his works. What is it about Kubrick that inspires you so? I have always been drawn to darkness. He has this beautiful way of taking silence and very minimal music and conveying the perfect feeling for the image that we are seeing. I just feel that he was such a talented unique creature, almost alien-like. David Lynch and Marilyn Manson, they too inhabit a completely different world and come up with things that seem to be not of this earth. Perhaps they are channeling something different. For someone not familiar with Kubrick, what would be the one film that you would recommend? I think Eyes Wide Shut because it is so very very interesting and there are many myths behind this movie. Following his two days in Vancouver, Baby Yors was heading to Los Angeles to continue working on new music and videos. While his physical home is in Brooklyn, New York, he divides his time between both cities. Given that New York and Los Angeles tend to attract two different personalities, I asked him what he loves about each.